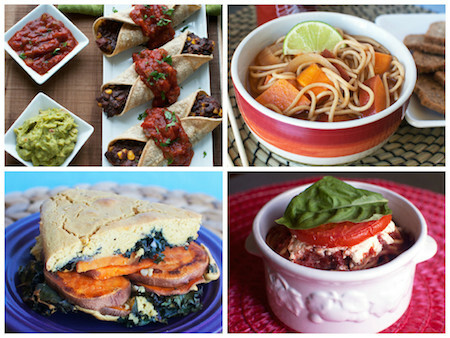 Garden Vegetable Pizzas, Kale & Sweet Potato Frittata, Black Bean & Corn Taquitos & More! 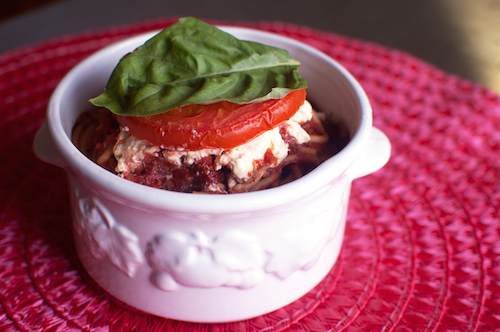 Lots of old and soon to be new favorites are coming your way on this week's meal plan! Kale & Sweet Potato Frittata (NEW! ), Lentil Stuffed Acorn Squash (NEW! 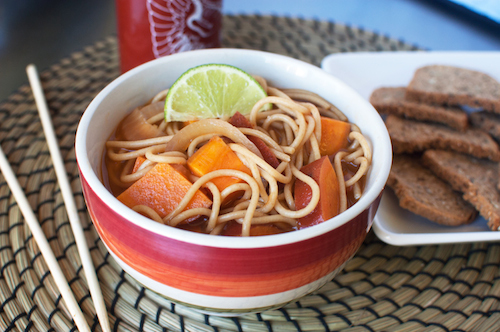 ), Spicy Sweet Potato Noodle Soup (NEW! ), Spanish Omelette (NEW! ), and Garden Vegetable Pizzas (NEW! )are all making their delicious debut on both the individual and family menus. 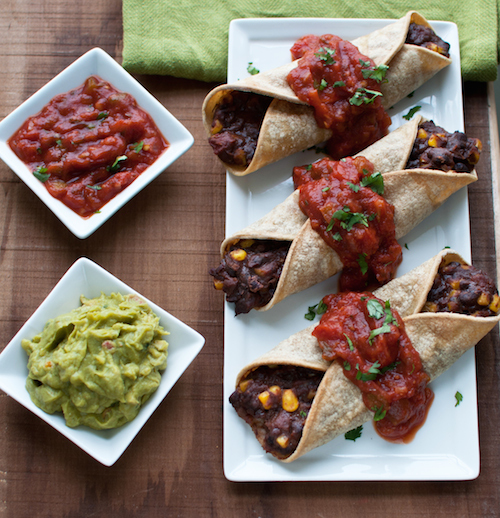 And coming back for an encore appearance include smash hits like the Black Bean & Corn Taquitos, "Clam" Chowder, Pizza Hummus (family), and Baked Caprese Pasta (family).